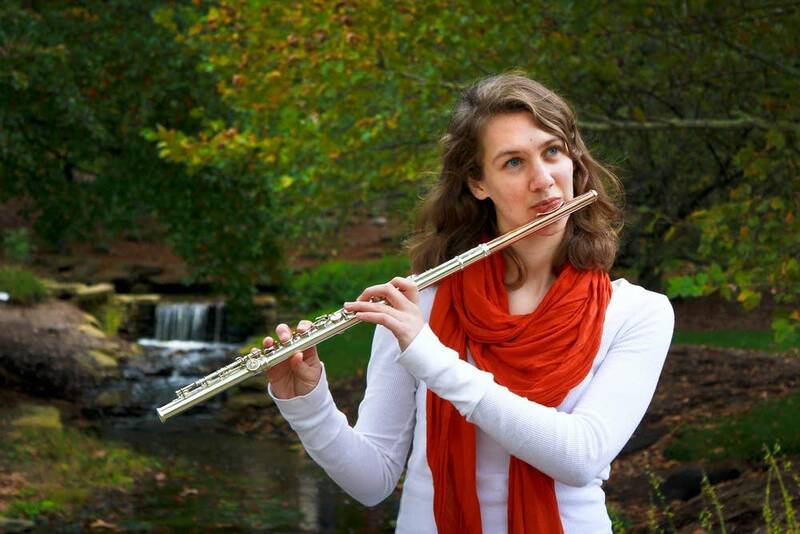 Flutist Karen Baumgartner from Roseville, Minn., was a Minnesota Varsity 2011 and 2012 Featured Artist. She recently got in touch with Classical MPR's Christine Sweet to share what she's doing now. Attends: Indiana University in Bloomington, Ind. I am a sophomore flute-performance major at Indiana University. I am really enjoying my time at IU and can't wait to see what the future has in store for me! Competing in Minnesota Varsity was one of many valuable experiences that have shaped me as a musician. Not only did it give me motivation to prepare and to do my best, but it also gave me confidence as a musician. Knowing that I performed on a great classical radio station that so many people listen to makes my dream of being a professional musician seem more attainable. It's amazing and exciting to think of how many people I was able to share my love of music with during both years that I was a part of Minnesota Varsity. As a musician it's important to get your name out there, and the Minnesota Varsity competition is one of the big ways I have been able to do that. Not too long after the last time I was a part of Minnesota Varsity, I had the amazing privilege of performing at Carnegie Hall on National Public Radio's From the Top, and I was awarded a $10,000 Jack Kent Cooke Award through the show. It was so cool because during the process of being on From the Top, the producers talked about my MPR recordings. It was fun to see that my Minnesota Varsity experience had had an impact on people who were producing a show on National Public Radio! This past summer I had another amazing experience while attending Eastern Music Festival. Not only did I get to perform with so many talented musicians, but I also had the privilege of soloing with one of the orchestras after being one of the winners of its concerto competition. Soloing with one of the orchestras at EMF was a phenomenal experience that I really hope I get to have again. Minnesota Varsity 2014 is now open for submissions. Learn how to submit your music here.